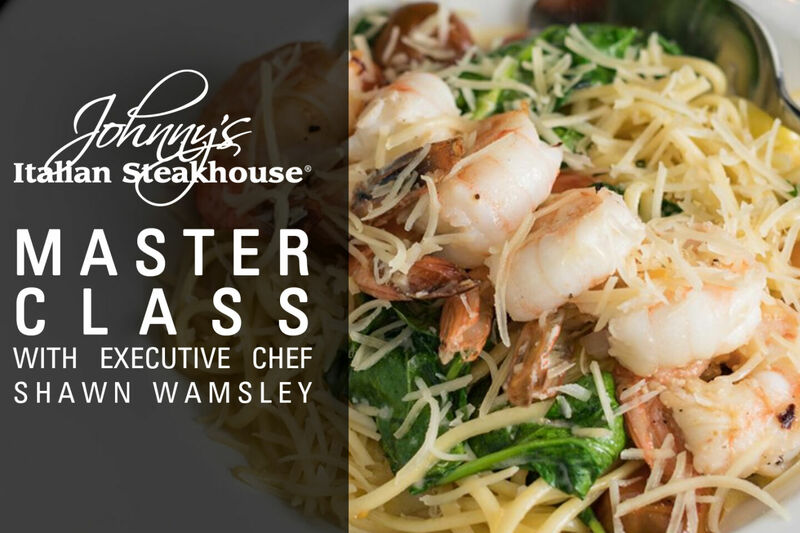 Join Johnny's Italian Steakhouse Executive Chef Shawn Wamsley, for a private evening that centers around all things Pasta ~ A true Johnny's Art. Learn how to incorporate pasta into your dishes at home including appetizers and main course, plus everything you've ever wanted to know about secrets of cooking pasta. Come prepared with questions! Also enjoy two glasses of wine from a list curated just for this class, and learn in a fun, intimate setting with other foodies.